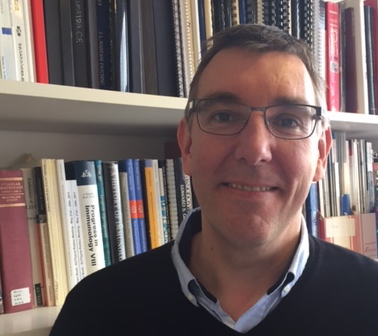 Professor Graham Anderson focuses on the role of the thymus in T-cell development, including approaches to improve immune reconstitution following ablative therapy and haemopoietic stem cell transplantation. Professor of Experimental Immunology, Institute for Immunology and Immunotherapy, College of Medical and Dental Sciences, University of Birmingham. Graham’s laboratory has made a longstanding contribution to understanding the role of the thymus in the production of T-cells. By defining the stromal cell requirements for distinct stages of intrathymic T-cell development, his work has led to a clearer understanding of how the peripheral T-cell pool is established. A key aim of current research is to understand how the thymus shapes the developing αβ T-cell repertoire, and how it supports the production of both innate (iNKT-cells) and adaptive (Foxp3+ regulatory and conventional) αβ T-cell subsets. Graham’s laboratory then applies this knowledge to address limitations in thymus function that hinder immune reconstitution following stem cell transplantation. He has established novel collaborations with researchers at Sanford-Burham in the US, to identify ways to manipulate thymus function and improve T-cell reconstitution following ablative therapy. T-cell biology, thymus, lymphoid stromal microenvironments, immune reconstitution. Graham’s laboratory currently receives funding from the MRC, CRUK, ARUK and The Wellcome Trust. As Professor of Experimental Immunology, his work aims to bring together basic and applied Immunological research in Birmingham. He is a current editorial board member for ‘Trends in Immunology’, and previous board member for ‘European Journal of Immunology’, ‘Journal of Immunology’. By holding a Visiting Professorship at The University of Tokushima in Japan, Graham has received research funding from The Royal Society, The Daiwa Foundation and The Great Britain Sasakawa Foundation to establish UK-Japanese collaborations. He currently serves as a member of the Wellcome Trust Expert Review Group ‘Immune System In Health and Disease’, and a is Scientific Advisory Board member for The Universities of Glasgow and Oxford, and the KG Jebsen Centre for Autoimmune Disorders, in Norway. In Birmingham, he contributes to undergraduate BMedSci and MBChB Immunology programmes by providing small group of lecture based teaching sessions, as well as research projects to 3rd year students. Cosway EJ, Ohigashi I, Schauble K, Parnell SM, Jenkinson WE, Luther S, Takahama Y, Anderson G. Formation of the Intrathymic Dendritic Cell Pool Requires CCL21-Mediated Recruitment of CCR7(+) Progenitors to the Thymus. J Immunol. 2018 Jul 15;201(2):516-523. doi: 10.4049/jimmunol.1800348. Epub 2018 May 21. Cosway EJ, Lucas B, James KD, Parnell SM, Carvalho-Gaspar M, White AJ, Tumanov AV, Jenkinson WE, Anderson G. Redefining thymus medulla specialization for central tolerance. J Exp Med. 2017 Nov 6;214(11):3183-3195. doi: 10.1084/jem.20171000. Epub 2017 Aug 22. White AJ, Baik S, Parnell SM, Holland AM, Brombacher F, Jenkinson WE, Anderson G. A type 2 cytokine axis for thymus emigration. J Exp Med. 2017 Aug 7;214(8):2205-2216. doi: 10.1084/jem.20170271. Epub 2017 Jul 10. Takahama Y, Ohigashi I, Baik S, Anderson G. Generation of diversity in thymic epithelial cells. Nat Rev Immunol. 2017 May;17(5):295-305. doi: 10.1038/nri.2017.12. Epub 2017 Mar 20. Review. Abramson J, Anderson G. Thymic Epithelial Cells. Annu Rev Immunol. 2017 Apr 26;35:85-118. doi: 10.1146/annurev-immunol-051116-052320. Epub 2017 Feb 10. Lucas B, James KD, Cosway EJ, Parnell SM, Tumanov AV, Ware CF, Jenkinson WE, Anderson G. Lymphotoxin β Receptor Controls T Cell Progenitor Entry to the Thymus. J Immunol. 2016 Oct 1;197(7):2665-72. doi: 10.4049/jimmunol.1601189. Epub 2016 Aug 22. Wyss L, Stadinski BD, King CG, Schallenberg S, McCarthy NI, Lee JY, Kretschmer K, Terracciano LM, Anderson G, Surh CD, Huseby ES, Palmer E. Affinity for self antigen selects Treg cells with distinct functional properties. Nat Immunol. 2016 Sep;17(9):1093-101. doi: 10.1038/ni.3522. Epub 2016 Aug 1. Cowan JE, McCarthy NI, Anderson G. CCR7 controls thymus recirculation, but not production and emigration, of Foxp3+ T-cells. Cell Reports. 2016 14:1041-1048. Roberts N, White A, Jenkinson W, Turchinovich G, Nakamura K, Withers D, McConnell F, Desanti G, Benezech C, Parnell S, Cunningham A, Paolino M, Penninger J, Simon K, Nitta T, Ohigashi I, Takahama Y, Caamano J, Hayday A, Lane P, Jenkinson E, and Anderson G. Rank signalling links the development of invariant gamma delta T-cell progenitors and Aire+ medullary epithelium. Immunity 2012 36:427-437. Rossi SW, Jenkinson-WE, Anderson G, Jenkinson EJ. Clonal analysis reveals a progenitor bipotent for thymic cortical and medullary epithelium. Nature. 2006 441:988-991.